One of the biggest announcements to come out of BlizzCon this year (aside from the announcement of a Diablo mobile game) was Blizzard’s intention to release a remake of its critically acclaimed Warcraft III: Reign of Chaos game. 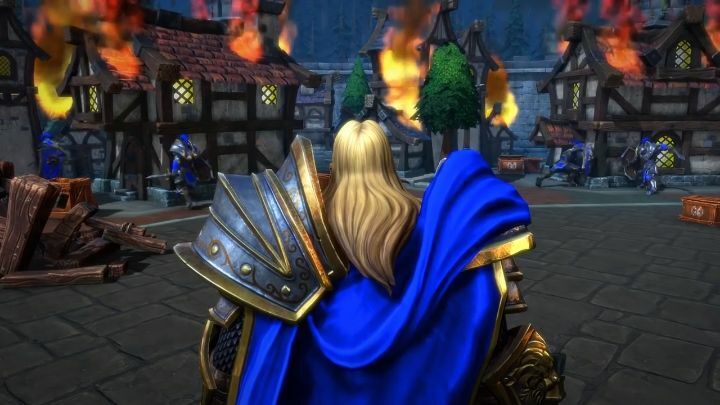 This is regarded by many to be on of the best real-time strategy games of all time, and the fact that the much-loved Warcraft III is getting a fresh coat of pain served as consolation to all those who were angry about the fact that neither Diablo 4 or Warcraft 4 seem to be part of Blizzard’s plans right now. Warcraft III: Reforged is scheduled to hit shelves no sooner than December 2019, though. However, some lucky players may get a chance to test drive Blizzard’s eagerly anticipated remake. This is because Blizzard’s senior producer Pete Stillwell said in an interview with YouTube channel Back2Warcraft (via PCGamesN) that the US game company is planning to hold a beta early next year. This makes sense taking into account that Reforged’s multiplayer is backward compatible with the original 2002 game, meaning Blizzard likely has quite a lot of testing to do before the full game rolls out in late 2019. “We’d like to get some things out there sooner than later so that there can be a really good feedback loop. So that if we need to make any course corrections that can happen. I’d almost call it more of a pre-alpha than a beta for what we’re probably anticipating in the spring”, said Stillwell in the interview. Blizzard has posted some details about how to get on the beta on its website, but has yet to reveal whether this will be an open beta a la Fallout 76 or a closed one available to only a lucky few. The latter is more likely taking into account this will be a “pre-alpha” test rather than a proper beta as Blizzard’s senior producer said in the YouTube interview. Whatever the case though, here’s hoping that Warcraft III: Reforged’s multiplayer lives up to that of the original when it sees a release next year.